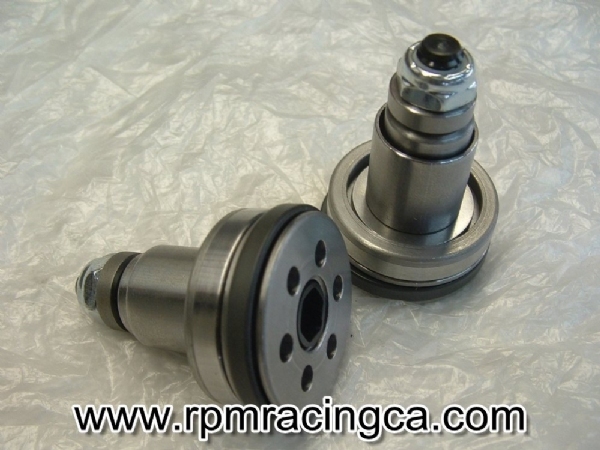 This is the ultimate valve for the Yamaha FJ Damper Rod Forks. This is a true fork valve that convert the stock FJ forks into shim stack valves. The valves are design as a drop in for the FJ with minimal modifications unlike the other valves availble for the FJ. the stock fork springs will not work with this application, see chart in full descrition for the spring rate required based on weight. Plus, the RPM fork valves are not just a cartridge installation, the are designed using patented Inertia Valve Technology. 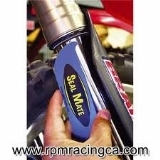 The RPM fork valve sits on the top of your stock damper rod forcing through high quality deflection discs found intop of the line shock absorbers. But, when the front tire hits a bump the IVT circuit engages and the bump is quickly absorbed. The following spring rates are recommended based on rider(s) and cargo weight. These valves are great . My bike handles so much better. I finally got out for a good ride on my 91 with my son on the back. We just explored unfamiliar roads and toured around. Some of the roads were dirt with pot holes. These valves, coupled with rebuilt forks and new springs have me wondering why I put up with such a sloppy, vague front end for so long. Easy to fit, all I can say is thanks RPM!